The Poet Felicia Hemans was born in Liverpool, but spent most of her youth in Denbighshire in Wales. In 1831 she moved to Dublin where she died. 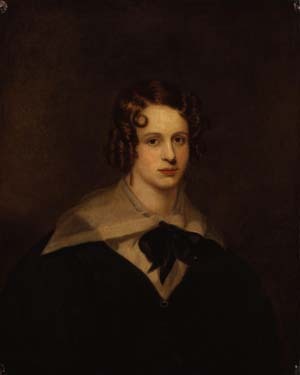 Felicia Hemans began writing poetry at the age of 14 and she was very highly regarded in her time, impressing no less a poet than Percy Shelley. On her death William Wordsworth and Walter Savage Landor penned commemorative poetry in her honour. Unfortunately, posterity has not been as kind, and she is generally remembered for just one line, from her poem "Casabianca" - "The boy stood on the burning deck".